What are oil filter wrenches? Changing oil is a must do for any kind of vehicle, and is well within the ability of a standard backyard mechanic (for most vehicles at least.) The biggest problem that most people have with changing their oil, is in fact removing the old filter. Oil Filters can get extremely tight in between oil changes, this is because of the many hot and cold cycles that your engine goes through over all your trips. These warming and cooling cycles will actually sometimes make your filter pretty much impossible to remove by hand, because of the thermal expansion differences between the metal of your filter and the filter’s threads. This is where oil filter wrenches come in. Ask any mechanic, having the right tool for the job in your toolbox when you need to use it is worth more than the tool weighs in gold. 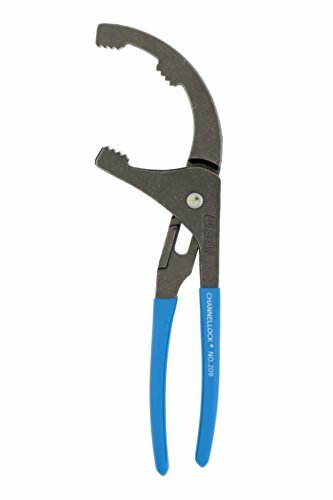 Tools are the difference between breezing through a job quickly and easily, versus pulling your hair out over being completely and utterly stuck. This is why I believe that everyone that does any kind of work on their car, or who wants to start, needs to own at least one universal oil filter wrench. It’s the worst feeling possible when you get to the filter change part of an oil change and realize that the filter is stuck on way too tight to be removed by hand. This is a sure-fire way to ruin your day, and can really screw you over. If you’re the victim of a stuck oil filter, you’re definitely gonna need the mechanical advantage of a tool to get the filter off. This simple comparison will help you choose the most popular value in oil filter wrenches, and find out where to buy them. Any of the following recommendations should help you in your quest to remove that stubborn spin-on (aka screw-on) oil filter. Also, we’ve added a section for cars that use cartridge type oil filters, because more often than not these type of filter housings require a tool to open them. 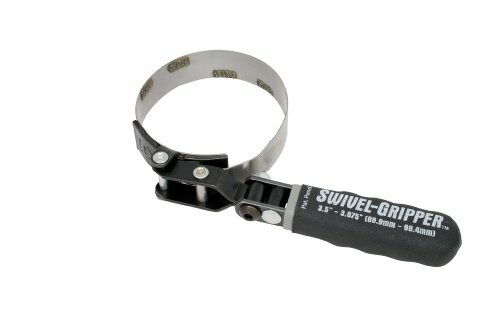 So, what is the best oil filter wrench? 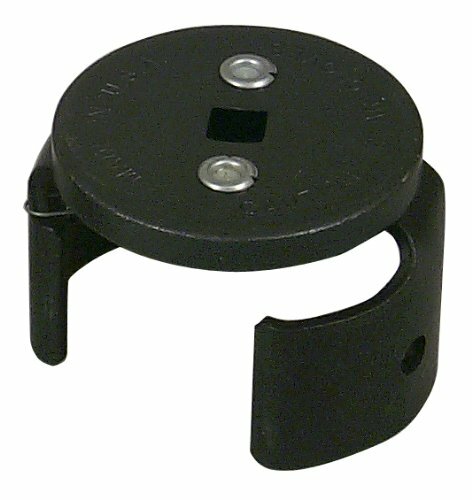 The type of oil filter wrench that you’ll want to buy will vary depending on your car’s filter type and size. The average car’s filter is about 2.5-3 inches in diameter, and trucks/larger vehicles will have bigger filters so be sure to keep that in mind when shopping around. 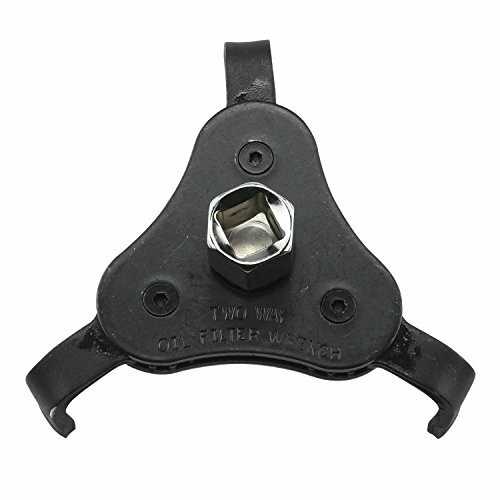 UNIVERSAL DESIGN: Universal filter wrench works on most passenger and SUV oil filters ranging in size from 1-1/2" to 4"
Perfect Fit - This 64mm 14 flute oil filter wrench fits all Toyota, Lexus, and Scion vehicles equipped with 2.5L to 5.7L engines that use Toyota's cartridge style oil filter system. 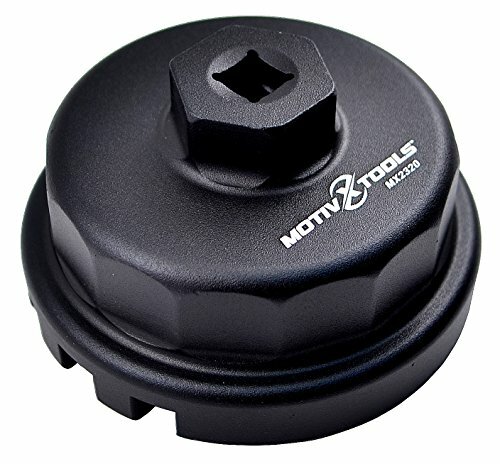 This wrench does not work on vehicles with traditional canister filters that you unscrew and throw away and does not fit the 1.8L engine oil filter cap. © 2018 epiniony.com. All rights reserved.